'And Grimma said, We have two choices. We can run, or we hide. And they said, Which shall we do? Soon strange things start to happen. Like the tops of puddles growing hard and cold, and the water coming down from the sky in frozen bits. Then humans appear and they really mess everything up. The quarry is to be re-opened, and the nomes must fight to defend their new home. But how long will they be able to keep the humans at bay - even with the help of the monster Jekub? 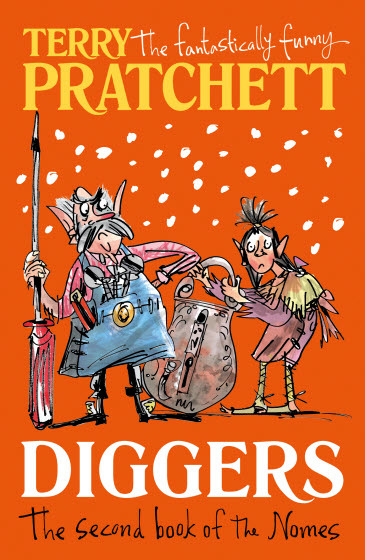 Diggers is the second title in a hugely inventive and hilarious fantasy trilogy about the nomes, a race of little people in a world of humans.